Background about why termites swarm. 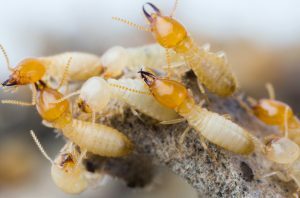 Thousands of winged termites swarm from their nests that are underground in the spring. They have one goal: to find a mate and build a nest, and then to establish a new colony. Huge numbers of males and females are produced in underground colonies in late winter and early spring. They are placed in specific locations in the nest (near the soil surface) and remain there until the time is right to leave. They may wait for several weeks, and have to be fed and groomed by nestmates. This same scenario is played out in other colonies in the Memphis area – that’s important. 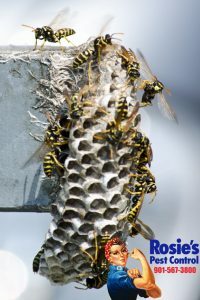 The purpose of swarming is for colonies to ‘exchange’ females and males for mating. Weather conditions are used to synchronize the release of these reproductive members of the colonies. The termites wait for very calm winds (less than 6 mph) and overcast days that follow a spring rain. Termites don’t want a big wind to blow away the insects before they find their mates. Wet soil helps the new couples to build their first nest, and the extra humidity helps them to survive. Not all swarms occur outside. Sometimes the colony misjudges the release point and thousands of winged termites are released inside of your home or business. Regardless of the placement (or lack of exchange with other colonies), the pairing, shedding of wings, mating and potential founding of a new nest all proceed without a hitch. Colonies typically produce swarms once they have reached a certain size, which is based on the total number of workers in the colony. The common colony produces swarms most every year, but the number they may release will vary. The release usually takes a few days. There may be a large ‘first’ swarm, followed by smaller second and third swarms. Termites have a lot of swarming experience, and seem to make it work. This year with an early spring in Memphis and surrounding areas, early treatments are more important than ever. Pests are already on the move and early treatments can help tremendously in keeping the population under control. There may still be a few days of freezing temperatures but spring does seem to be coming early this year as evidenced by all the early blooming and budding trees and shrubs. Package plans make monthly pest control easy and affordable. Save $25 Now! We offer several plans that include all forms of pest control. 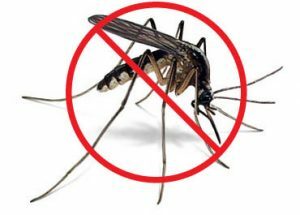 We also offer mosquito spray plans to keep your yard comfortable all summer long. 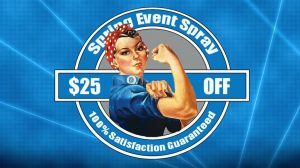 We are having a spring event for a limited time for new customers. Sign up for our monthly plans and receive $25 off of your first treatment!